“(TDP) decision is both unfortunate as well as unilateral. It is a decision; I am afraid, will be construed as being guided wholly and solely by political considerations instead of development concerns,” Shah wrote in the eight-page letter. The Bjp also added that the party believe in development for all' and PM Narendra Modi has left no stone unturned in making the state's growth. He further added that Naidu's assertion that the BJP is 'insensitive' to the aspirations of the Andra Pradesh is 'untrue and baseless'. "It is widely known that the Union Government led by Hon'ble Prime Minister Shri Narendra Modi has left no stone unturned in ensuring the growth and prosperity of Andhra Pradesh," the letter added. “Andhra Pradesh is the only state to receive the award of revenue deficit grants for all the five years besides the north-eastern and hilly states. Does that not show that the Central Government has been sensitive to the needs of Andhra Pradesh?” he wrote. “The commitment of BJP for the cause of development and justice to Andhra Prades, in particular, is simply unquestionable. 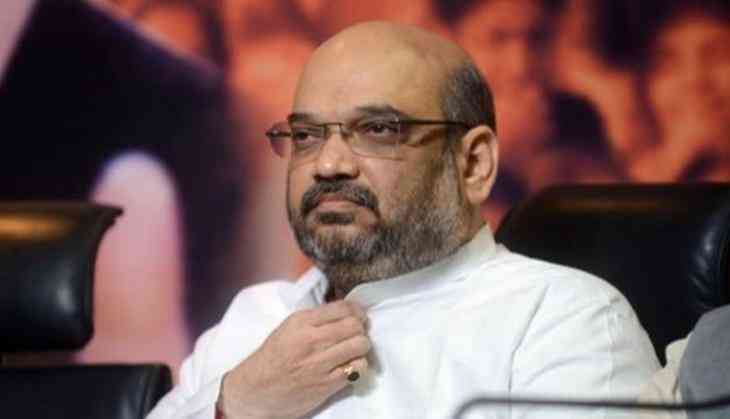 But unfortunately, the mandate earned together by both the parties is allowed to be squandered for political reasons,” Shah said.